When people discuss pop music, a few acts always seem to come up as the best of all time. Michael Jackson, Madonna, Prince–and maybe Timberlake, or Bruno Mars for the younger music aficionados. Well the artist I’m listening to today is the most awarded female act of all time per Guinness World Records and has sold an estimated 200 million records worldwide. Whitney Houston came into the world on August 9 of 1963 in Newark, New Jersey. Born into the music business, her father was an entertainment executive and her mom was a gospel singer. Her cousins were Dionne and Dee Dee Warwick, who had established themselves as pop fixtures shortly after Whitney’s birth. At age 11, Houston began singing in her junior gospel choir and learning to play piano. Attending a Catholic girls’ school, she continued to adapt her vocal range, listening to Chaka Khan, Gladys Knight and Roberta Flack as inspiration. She’d tour local night clubs where her mother was performing, and occasionally get and stage and perform with her. At 14 she formally became a backup singer for a few bands, including Chaka Khan. In the early ‘80s Houston began modeling, appearing in magazines and television commercials. Music was still her first passion though – and the offers from labels began rolling in. 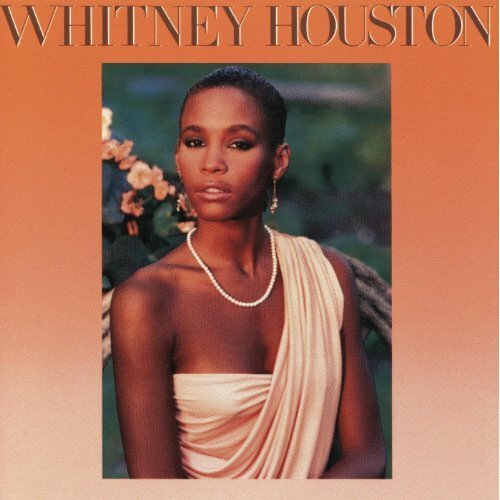 In 1983 Arista Records got the winning bid, and Whitney began recording her first album. Initially, they struggled to find pop tracks that fit her more gospel vocal style, but they found a pair of producers—one of which was Michael’s brother Jermaine Jackson—to come in and adjust some compositions to her strengths. After two years of recording, the album titled Whitney Houston was released in February of 1985. The album started really slow, with very little commercial response. But eventually would top the Billboard charts for 14 weeks and spawn three number-one singles. It would receive four Grammy nominations, winning Best Pop Vocal Performance, Female. Fast forward to today, and the album has sold more than 25 million copies worldwide, has universal accolades like #254 on Rolling Stone’s 500 Greatest Albums of All Time and is somewhere around 60ish on the best-selling albums in U.S. history. It’s sort of crazy how many people I know that are pop fans, all respect and enjoy Whitney’s music but don’t seem to bring her up right away in favorite artist discussions. I was a bit surprised to see what her total sales were; especially given her career was cut so tragically short because of her addictions and untimely death in 2012. There is no denying her vocal talent; she’s one of the best flat-out singers in music history. The infamous ‘I Will Always Love You’ track from The Bodyguard film could simultaneously be the most overplayed pop song of all time, while also being one of the most beloved—a really hard thing to accomplish. In terms of this particular album, I’m certainly not the go-to reviewer for mid-‘80s pop music, but it’s easy to understand why this was so main stream. It’s very easy to listen to, has elements of pop and soul and a little R&B. This brief write-up barely scratches the surface of the life and times of Whitney Houston and her family. I’m guessing there are, or will be, many books about her life and problems and struggles. For now, throwing this on for $5 bucks is both a good reminder of how great her talent was—and how great things don’t always last as long as they should.